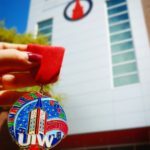 CELEBRATE UIW SUCCESS STORIES. KEEP UP WITH YOUR CLASS AND BE A PART OF THE WORD IN PRINT AND ONLINE! 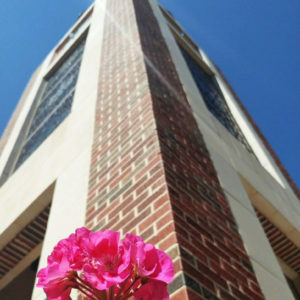 SEND YOUR ACHIEVEMENTS, HAPPY ANNOUNCEMENTS AND MILESTONES TO ALUMNI@UIWTX.EDU. Elvira Puig Barrera ’71 BA has been named a Marquis Who’s Who Lifetime Achiever. Puig Barrera was honored for the achievements and successes she has accrued in the field of education. 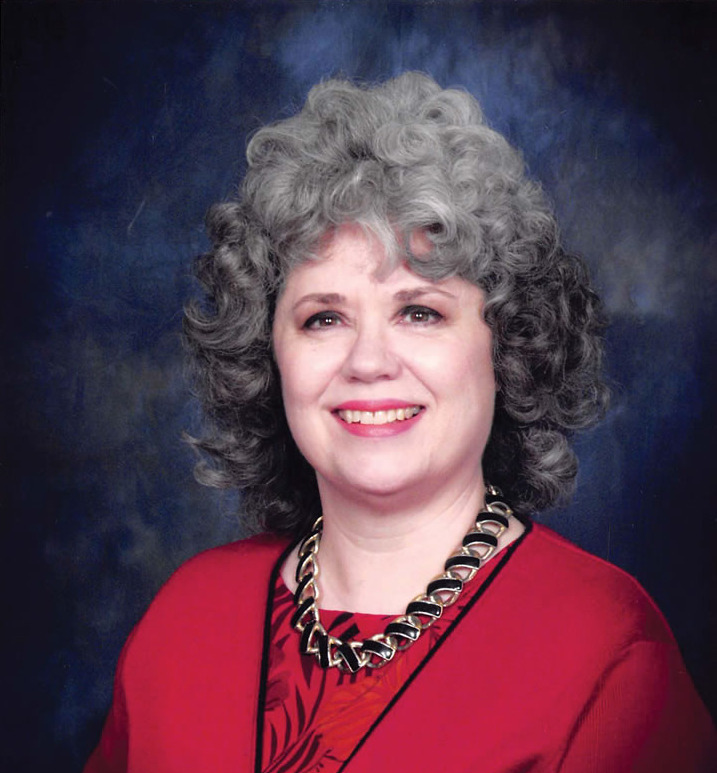 She was also awarded the Key Woman Educator Award for Community Service in 2017 by the San Antonio Coordinating Council of Delta Kappa Gamma Society International. Monica Shutts Messer ’73 BSN joined the faculty at the University of South Florida (USF) College of Nursing in Tampa after earning her Doctor of Nursing Practice and Ph.D. in Nursing Science degrees at USF. Messer continues to teach in the graduate program to prepare future nurse educators. She is also a board certified wound care specialist and has published research on prevention and management of pressure ulcers. Jerry Watson ’73 was recently voted in as president of the Board of Governors for the Boerne Community Theatre. Watson also teaches acting classes for adults. Dr. Veronica Cadena ’88, together with her husband, Dr. Antonio Cadena Jr., are celebrating the 10-year anniversary of Cadena Family Practice, their privately-owned clinic in Del Rio, Texas. They have served this hometown community for 22 years. Cadena Family Practice has now expanded its services to include occupational/industrial and correctional medicine. Dr. Mateen Diop ’92 BS is the current principal of Sam Houston High School and P-Tech Early College High School in San Antonio. Charlene Blohm ’92 MBA is among the recipients of the 2018 Governor’s Trailblazer Award for Wisconsin Women in Business. Blohm received a Pioneer Award for her leadership. In 1991, she founded CB&A, a marketing and public relations agency specializing in education, special needs and workforce development markets. Mike Dockal ’99 BS and Gina Dockal ’00 BA, are working to grow their 501(c)(3) charitable nonprofit organization in memory of their beautiful daughter Zoey Isadora. Visit zoeysangels.org for more information. Dr. Alexandria Smoots ’00 BSN DNP, RN, FNP-BC, a member of Theta Eta Chapter of Chi Eta Phi Nursing Sorority Inc., organized the 1st Annual Mental Health Education program in 2017 hosted by the chapter. Smoots also planned the 2nd Annual Chi Eta Phi Mental Health Education Program. 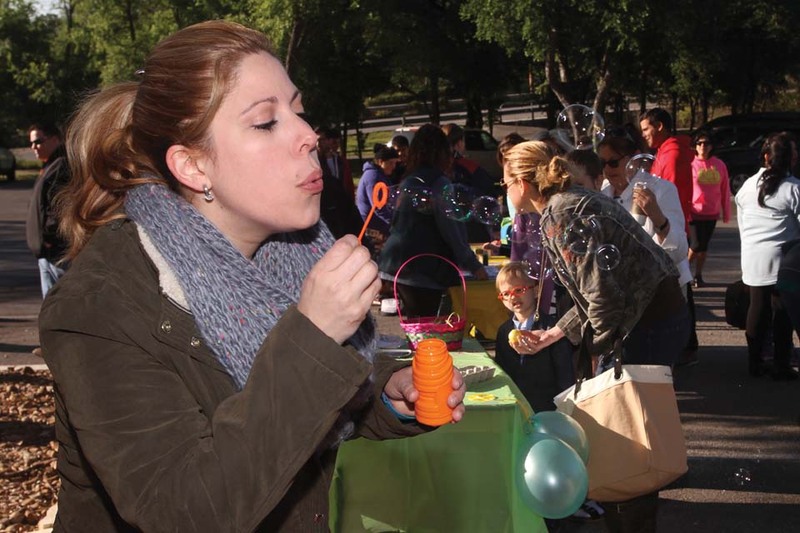 It was an official Tricentennial-sponsored Community initiative, organized and hosted by Theta Eta Chapter of Chi Eta Phi Inc. and in partnership with St. Philips School of Nursing for community engagement. Arnulfo D. Hernández ’01 BA is a managing partner of Hernández & Associates, P.C., and was named among the top litigators of 2018 by Law Week Colorado. Anthony Cristo ’02 BA is currently running for United States Congress District 15 of Texas as a candidate for the Libertarian Party. Cristo is also a scoring director for Pearson Education Assessment and has worked in production for various television and film productions. 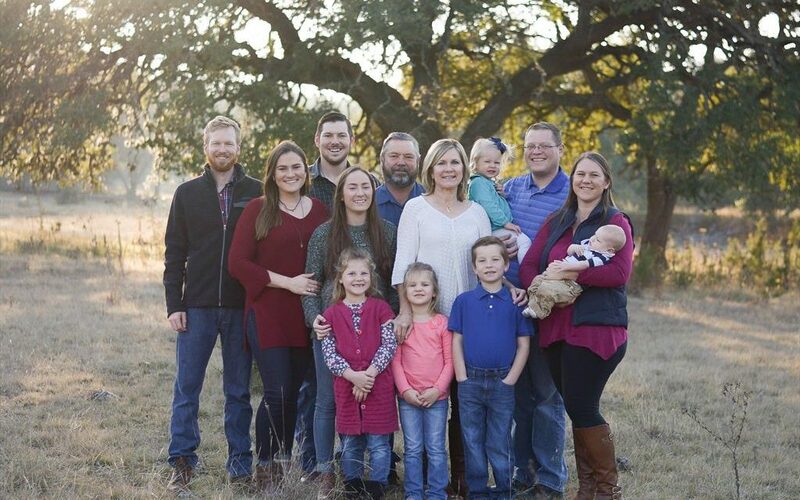 Rebecca Minjarez Villarreal ’02 MA earned her accreditation in public relations in 2017 and was recently named one of the Rising Stars of New Braunfels by the New Braunfels Jaycees. 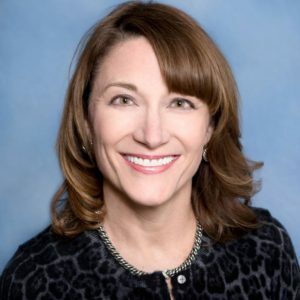 Villarreal is currently working as the director of communications for the New Braunfels Independent School District and serves as the central area vice president for the Texas School Public Relations Association. Amanda Ireta-Goode ’09 BA was named development director for Gemini Ink, San Antonio’s Literary Art Center. The nonprofit organization offers creative writing workshops, public readings by authors, mentorship programs and more. 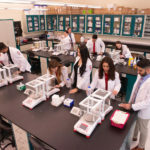 Elizabeth F. Lopez ’12 BA graduated from the University of Texas Medical Branch at Galveston John P. McGovern Academy of Oslerian Medicine. Jose Bernal ’14 BBA launched his own IT solutions company in Mexico. Beral Publicidad Digital is now expanding its services to the United States. Visit beralpd.com for more information. Nicholas Garcia ’16 BBA has been named a university relations coordinator in Talent Acquisitions at Dell Technologies. 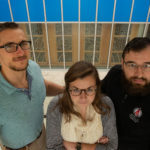 Garcia began his career at Dell shortly after graduation through a university relations program working in Support and Deployment Organization. In the summer, he discussed future job opportunities with H-E-B School of Business capstone students. Garcia returned to UIW in the fall and recruited for Dell during the UIW Full Time Career Fair. Lana Nguyen ’16 BBA was featured in Voyage Phoenix magazine. Nguyen, who double majored in interior design and art at UIW, is now an established artist and founder of LAN art&design. Visit lanartanddesign.com for more information. Sophorn “Sophie” Bou ’17 BA was the featured intern in the summer edition of the World Affairs Council of San Antonio’s World Atlas newsletter. Carol Zernial ’89 MA was named among the Top 50 Influencers in Aging for 2017 by Next Avenue, a nonprofit journalism initiative by PBS. 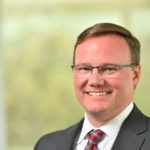 Zernial is the executive director of WellMed Charitable Foundation (WCF), a nonprofit organization that supports seniors and their caregivers. At WCF, she helped launch senior programs that serve more than 31,000 seniors at centers in Austin, San Antonio, Corpus Christi and the Rio Grande Valley. On this year’s list, she joins a Nobel Prize winner, HBO documentary film president, CEOs, scholars, authors, public servants and more. Zernial also serves as chair of the Board of Directors for the National Council on Aging. She was a delegate to the White House Conference on Aging in 2015 and 2005. She is also the creator and co-host of the weekly radio show and podcast Caregiver SOS: On Air. Among her many accolades are the 2008 Outstanding Professional in Aging Award in Texas and the 2017 Murlin B. Johnson Legacy Award, among others. Allison Mulvey ’88 and Dr. Gerald Mulvey, assistant professor of Meteorology, attended the meeting of two nations in Durant Oklahoma March 12, 2018 during which their contribution to the Saint Patrick of Ireland Scholarship was announced. 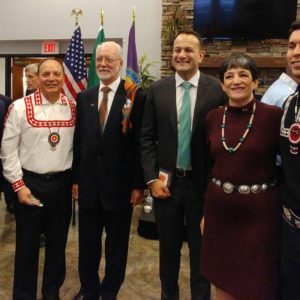 _e Honorable Leo Varadkar, Irish Taoiseach (prime minister of Ireland), and the Honorable Gary Batton, chief of the Choctaw Nation, met in an invitation-only event to exchange gi_s and announce scholarships for Choctaw students. Varadkar announced the creation of a scholarship for Choctaw students to study in Ireland, and Assistant Chief Jack Austin Jr. announced that the Saint Patrick of Ireland Scholarship was being funded at the $50,000 level by Dr. Gerald and Allison Mulvey. Mrs. Mulvey is a past Irish Echo Community Champion award winner and current UIW graduate student. 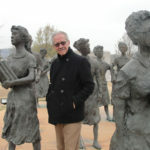 Dignitaries at this meeting included the Choctaw Tribal Council, Daniel Mulhall, the Irish Ambassador to the United States, Mary Fallin, governor of Oklahoma, Brian Kuester, U.S. Attorney, and Adrial Farrell, consul general of Ireland in Austin, as well as local dignitaries. _e Saint Patrick of Ireland Scholarship was established in 2016 and is the result of donations given to the Chahta Foundation by Allison and Gerald Mulvey. _is scholarship was established to commemorate the Choctaw Nation’s outreach to the starving people of Ireland in 1847. 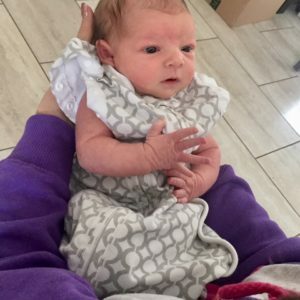 Lea Lopez-Fagin ’96 MSN is delighted to introduce her first granddaughter, Olivia Clarita. She is the daughter of Leigh Anne and Charlie _omas. She was born on Jan. 21, 2018, in Montgomery, Ala.
Karina Trevino ’14 BA and Jason Trevino ’17 MS welcomed Zoë Natalia, a future member of UIW’s Class of 2040, on Feb. 9, 2018. 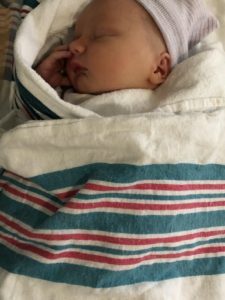 She joins sibling Jude, a future member of UIW’s Class of 2038. 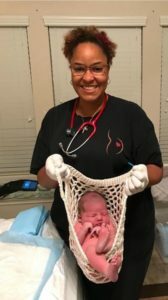 Melanie Marie Mills ’15 BS and her husband, David Mills, a current UIW military program student, welcomed their second son, Ashton William, on Dec. 1, 2017. He looks forward to being a future Cardinal like his mommy and daddy. 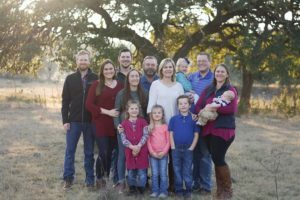 Brenda Hutzler Taylor ’00 BBA and her husband, Mike Taylor, welcomed their first child together in December. Zander Matthew was born at 3:30 p.m., weighing 6 pounds 13 ounces and measuring 19 inches long. Monica Itz ’81 BBA and her husband, Jeremy Itz, were blessed with their fifth grandchild, Henry Samuel, in September 2017. Judy Bruner ’68 and her husband celebrated their 50th wedding anniversary in June 2017. Bruner also celebrated 50 years since graduating this May. Carlos G. Barreto ’14 MSA and Marisol De Hoyos Barreto ’14 MSA were married at a destination wedding in Cancun, Mexico, on Oct. 14, 2017. 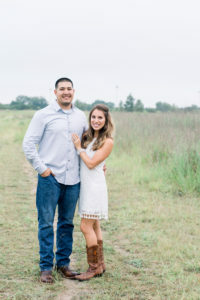 Jonathan Cervantes ’14 MS and Alyson Gonzales ’12 BA ’13 MAT are engaged to be married in the summer of 2019. 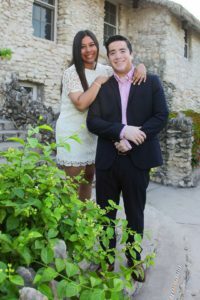 The couple met in the UIW bookstore in January 2013 and became engaged on UIW’s Red Bridge in 2017. Greg Regino ’17 BS and Clarissa Garcia ’18 BA are engaged to be married. They will be married in Spring 2019 at St. Peter Prince of the Apostles Church in San Antonio. Jennifer L. Morales ’18 and Carlos Kopszywa are engaged to be married. Both Morales and Kopszywa are happy to share their news with their UIW family and friends as they plan the rest of their lives together.